Although many people think that wash car cleaners only include cleaning agents, in reality, it includes everything related to car washing and exterior care. 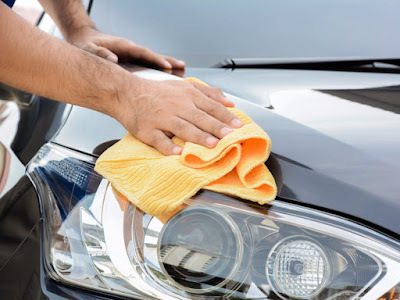 There are numbers of wash cleaners and exterior care products that you need to have in your treasury to take proper care of your loved car with effectiveness and practicality. The basic wash cleanerproduct for your car washing are bucket and sponge. You need to have two decent size buckets before starting cleaning procedures; one for soapy water or detergent and another one for fresh water. Similarly, you need to have two sponges- one for the upper exterior part, a softer one possibly made with lamb’s wool and another one, a rough one, for the bottom part where most debris is found. This will reduce the chance of dragging dirt from the bottom to top. Sitting at the bottom of the bucket, it stops dirt and grit to swirl around. Simple rub the sponge or mitt with the grid to trap the dirt to get a clean sponge after each rinsing to continue washing your car. There are numbers of car washing soap and detergents available in the market both in liquid and hard state. Always choose a soap or detergent that is close to normal PH range of water to avoid possible chances of tainting the car paint. Hard soap or detergent might remove debris quickly but leaves its spot behind too. The wheels of your cars are often difficult to wash because they are subject to brake dust, grime, and tar. Thus, they need special cleaner other than car cleaning liquids. Always apply a proper wheel cleaner that is only designed to clean the wheels of your cars. Additionally, use of a wheel brush helps you rinsing wheels with more precision. We advise you to read the label and application of wheel cleaner in a tiny portion of your car wheel to check if it harms wheel’s finish because some cleaner contains a small amount of acid. After washing your car, you need to dry it off. Earlier, chamois was used widely to dry off car’s exterior. Only lately, microfiber towels have taken place of chamois for their user-friendliness and least chance of scratches. You might buy a microfiber towel with high GPM for better performance. It has become popular only in recent times. It is a multipurpose cleaner product allowing you to wash and dry your car at the same time. You need to spray it, wait for few minutes and wipe out with a microfiber towel to get the shine too. These products are not necessary for regular cleaning. You need to apply them once in a six month to remove small scratches and bring out the shine of your car. Moreover, it offers an extra layer of security to avoid scratches. These are the most basic wash cleaner and exterior care products for your cars. If you love your car and its company, please do keep these products in your shopping list for the next shopping, in case you don’t have one.